This is a very PRICEY pick, but I use it nearly every day. It is easy to use and converts to Microsoft word Great! Every once in a while you may have a Word Document that is formatted strangely when sent to Pages, but it is an easy fix. 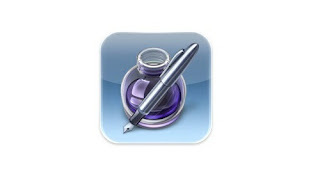 My students use this app for every word processing assignment and even notes that they complete in class. We did not have an air printer this year, and I do not for see one in the future, but the kids were able to email it to me as a Word, Pages or PDF so that I could print it for them if needed. The majority of their assignments were graded on the iPad and I gave them written feed back on Edmodo. Since my kids had to share the iPads with 2 other students in other classes, we did not send emails to the students about work, since it would not be private. This year, with the one-to-one iPads personal email will be a bonus!